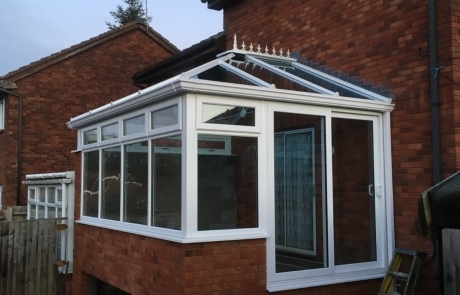 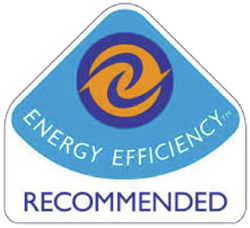 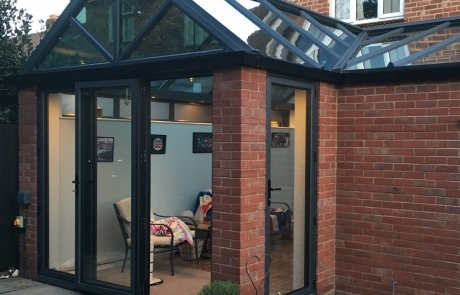 Our conservatories are expertly engineered and tailored to your individual requirements. 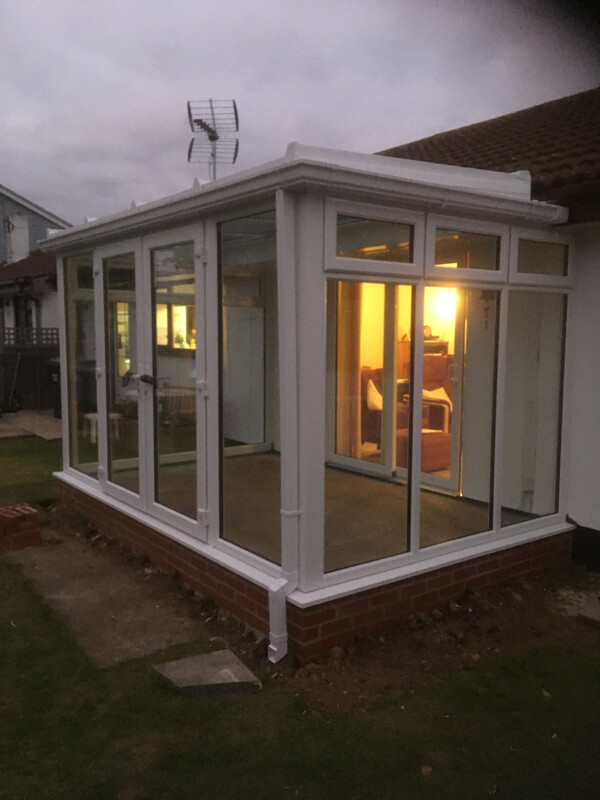 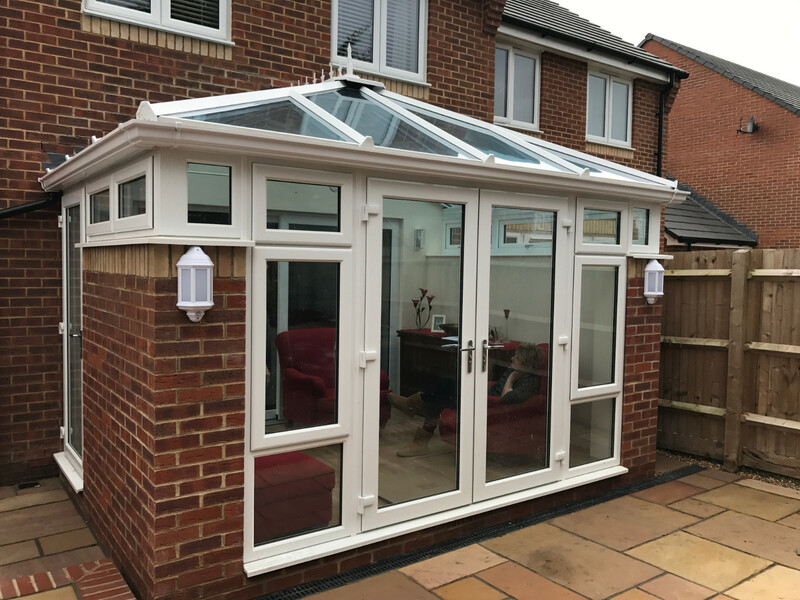 Warm in the winter, cool in the summer and fantastically therapeutic in the rain; your conservatory is perfect in any weather. 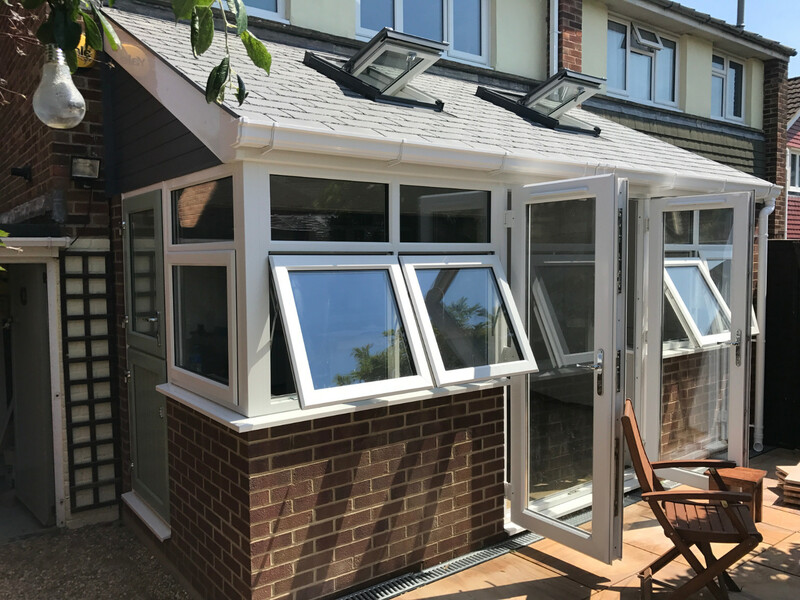 With styles ranging from traditional Victorian, the classic Edwardian, the light and airy Gable End, to the more contemporary Lean-to sunrooms; you will find a design that will bring new life and energy to your home. 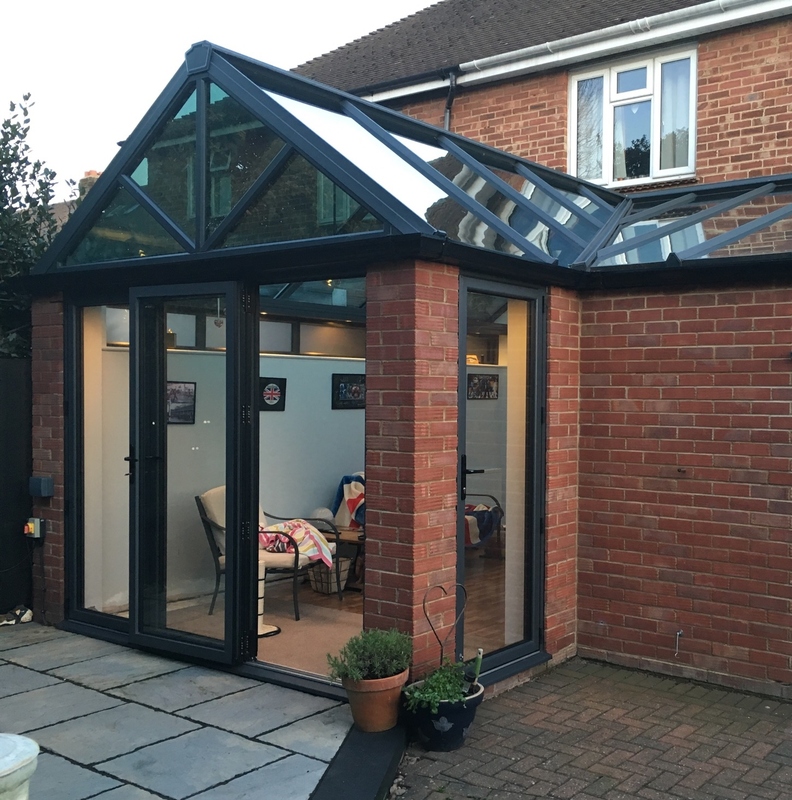 Our experts will work with you to design a conservatory that offers you a bright, relaxing space to enjoy your home and your garden. 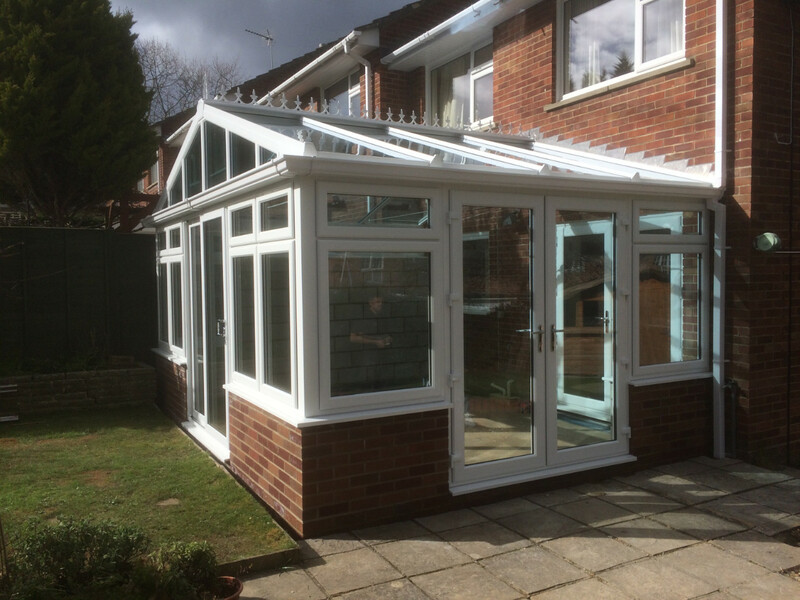 Building a conservatory, glass extension or orangery is a great, relatively low-cost way to increase the appeal, size and value of your home. 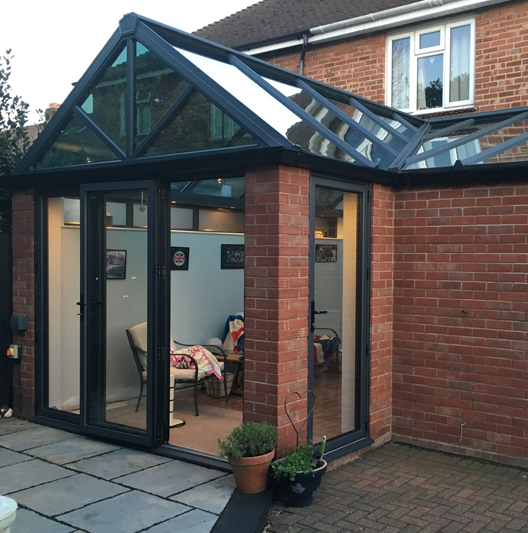 Before you begin installing your new conservatory, it’s important you find out whether you need planning permission. 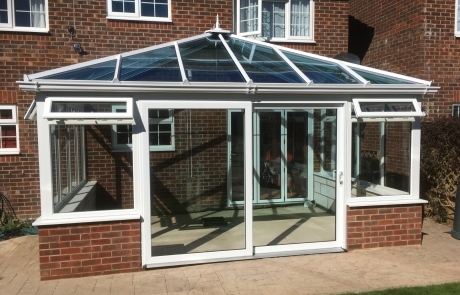 There are several different roof options when thinking about your new conservatory. 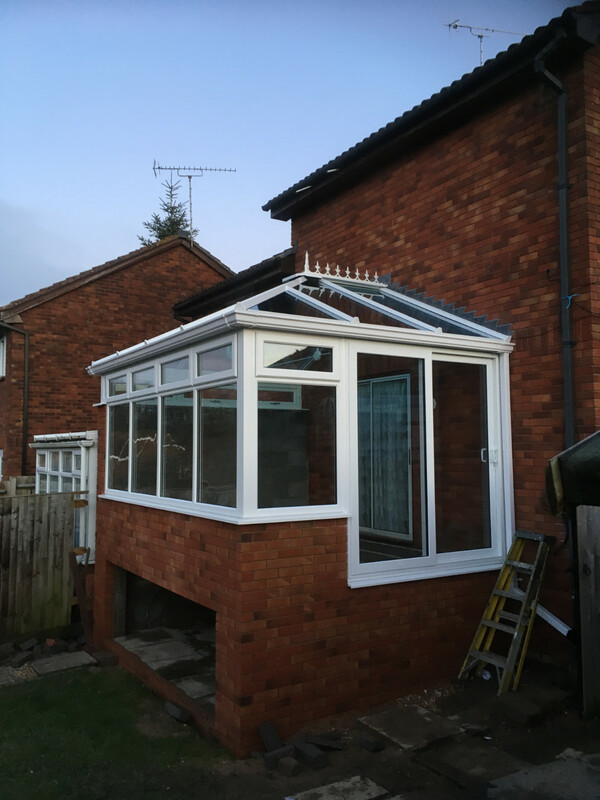 We’re here to help you enhance your home. 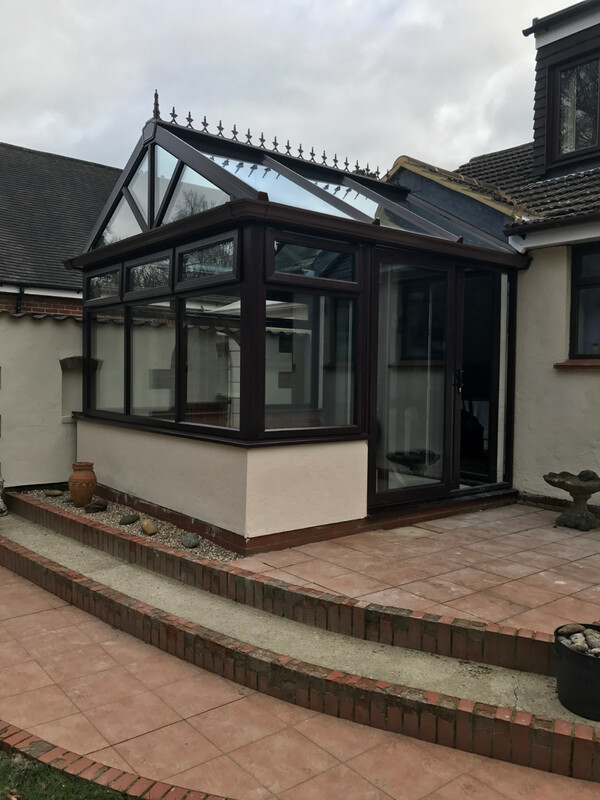 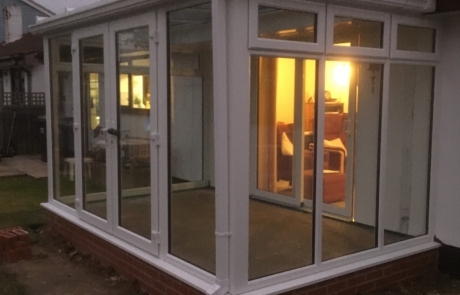 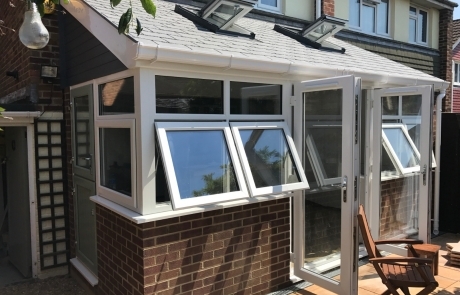 So, whether you’re looking to enhance your home with new windows or doors, or extend your home with a conservatory or orangery; we’ll work with you to find the perfect solution. 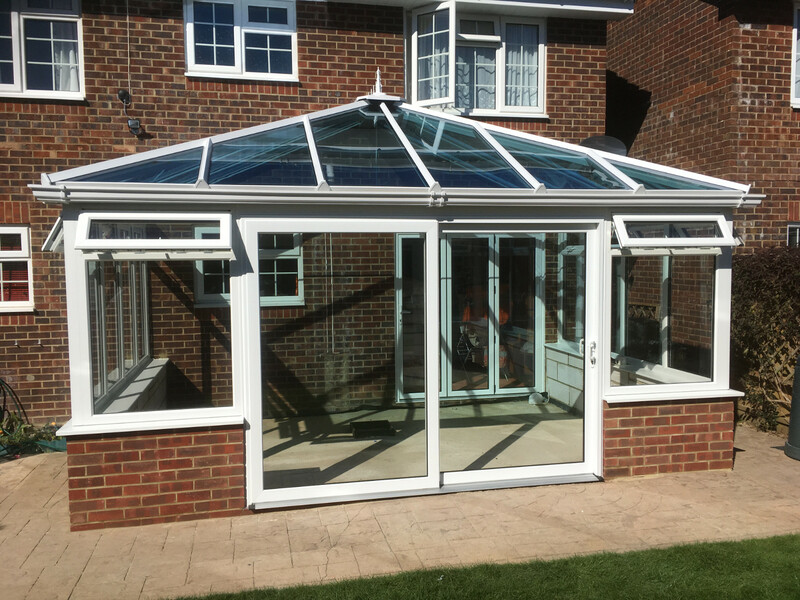 Your home deserves to feel bright and spacious, and with a glass roof for your conservatory or orangery, you can invite in natural light and sky views to help create a beautifully airy room to enjoy and relax in. 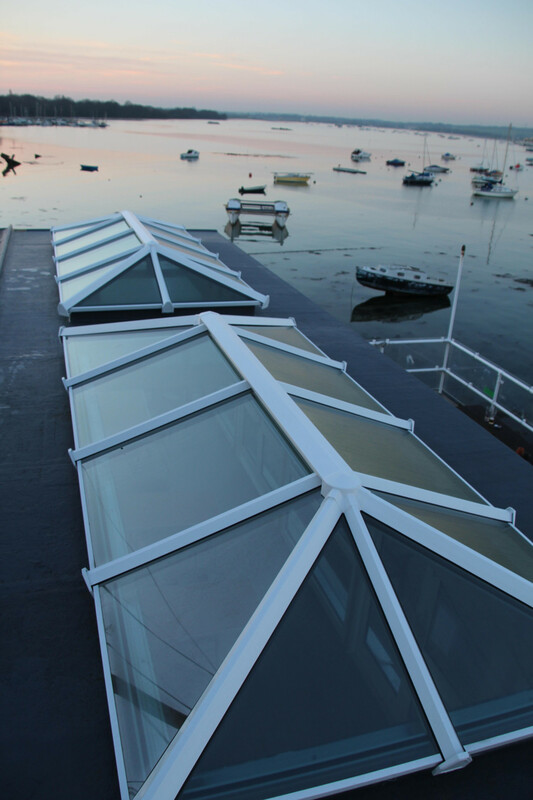 Skypod roofs brighten up your home by letting in natural light and gaining height in your conservatory or orangery. 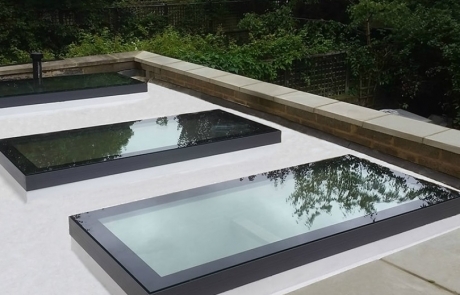 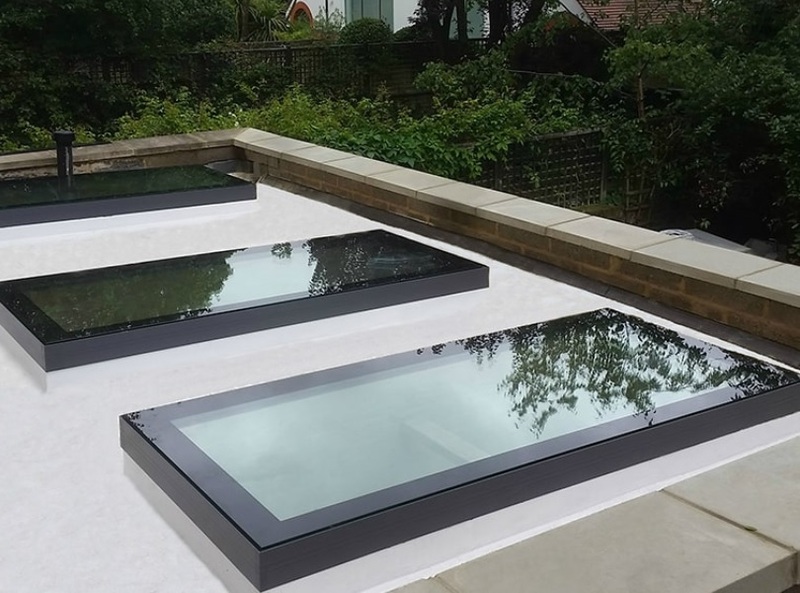 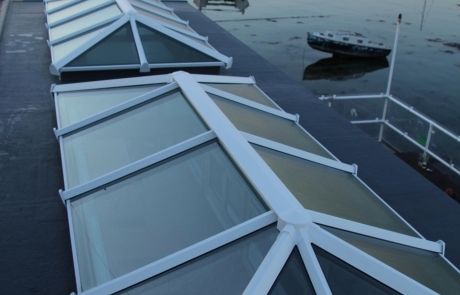 Your skypod roof can be customised to fit in with your home. 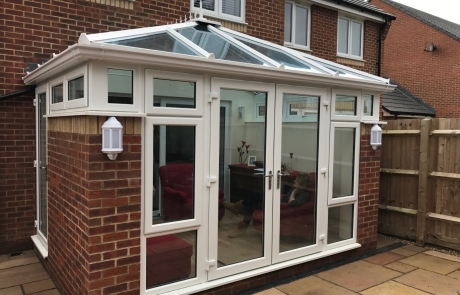 For a cosy feel, you can opt for a tiled conservatory or orangery roof with sleek and lightweight tiles. 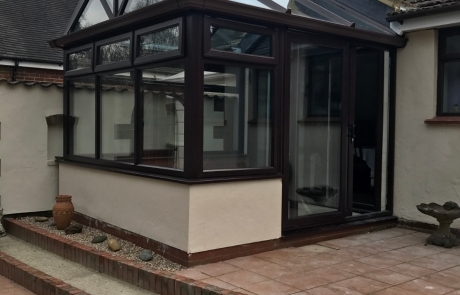 Your conservatory or orangery will be completely bespoke, with your choice of colours and design. 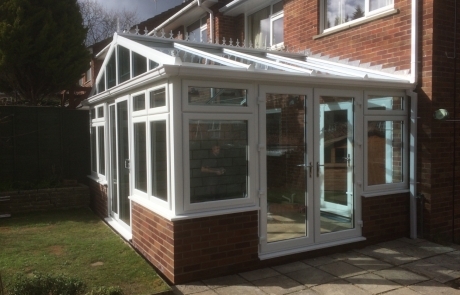 For initial help and advice when planning for a Conservatory, click the following link for the Planning Portal.